Rockers Paramore have announced a new online auction to raise money for the Red Cross' efforts in Japan following the massive earthquake and tsunami that has left an estimated 20,000 people dead. 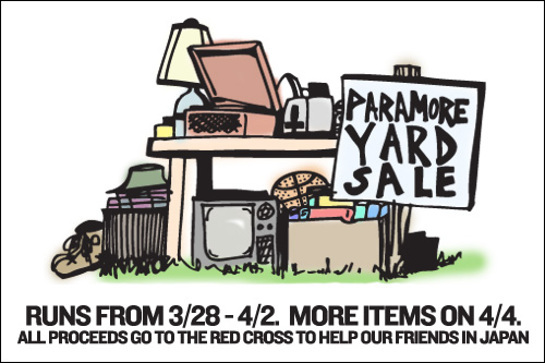 The Paramore Yard Sale includes shirts, pants, guitars and more than 30 items going under the hammer this week, with another 30 going up for auction next week. This week’s auction ends on April 2, with the next auction starting on April 4.